Naomi Watts had to paralyse the right side of her face with a cocktail stick because she wanted to perfect the role of Princess Di in upcoming biopic Diana. 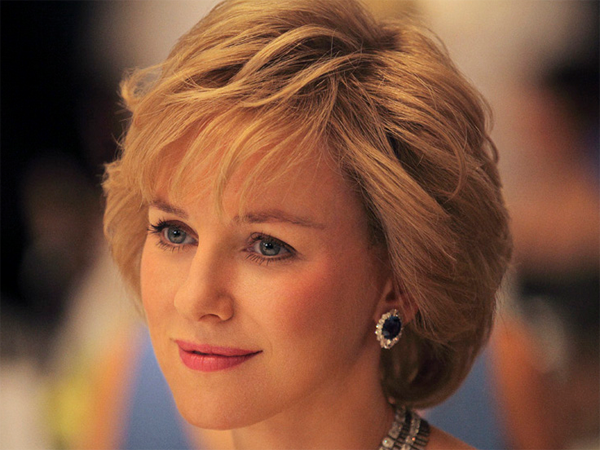 Naomi Watts had to paralyse the right side of her face to play Princess Diana. The 44-year-old actress plays the late Princess of Wales in new biopic Diana and was so determined to perfect the princess’ mannerisms she was forced to wander around with a wooden toothpick in her cheek in order to change the way her mouth moved. Speaking to Empire magazine, she said, "I didn't just want to appear like her; it's also about the tone of her voice and the way she moved her face. It's completely the opposite of how I move my face. I move my face on the right hand side and she moved hers on the left. "I had to walk around with a cocktail stick in my mouth, to paralyse the right-hand side of my face, for weeks." The blonde beauty admits she toyed with the idea of playing the British royal for a while because she was concerned about how people would take to her and whether they’d criticise her for the way she portrayed the role. She explained, "[There’s] A lot more pressure and a lot more fear that comes with that pressure. I wrestled with the decision of actually doing it because of that. I was afraid of all the comparisons that people would make: not the right nose, not tall enough, not the right voice."